The City of Detroit is seeking people between the ages of 15-25 to participate in meetings with them about the city's future. 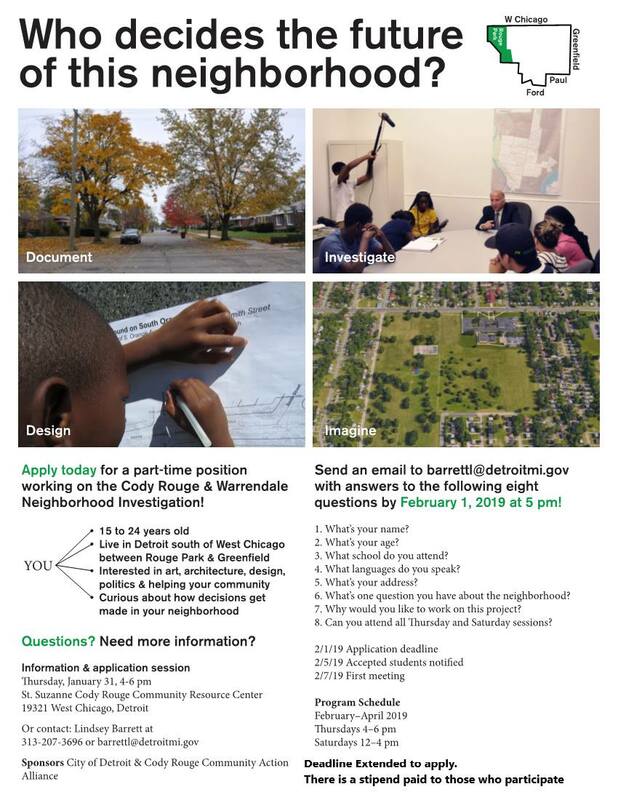 Young adults in that age range who live in the Warrendale area are invited to apply. There is a stipend that will be paid to those who participate. Those residents who are interested should contact Lindsay Barrett at (313) 207-3696 or email her at barrettl [at] detroitmi [dot] gov. A flyer from the City of Detroit with more details is available below.